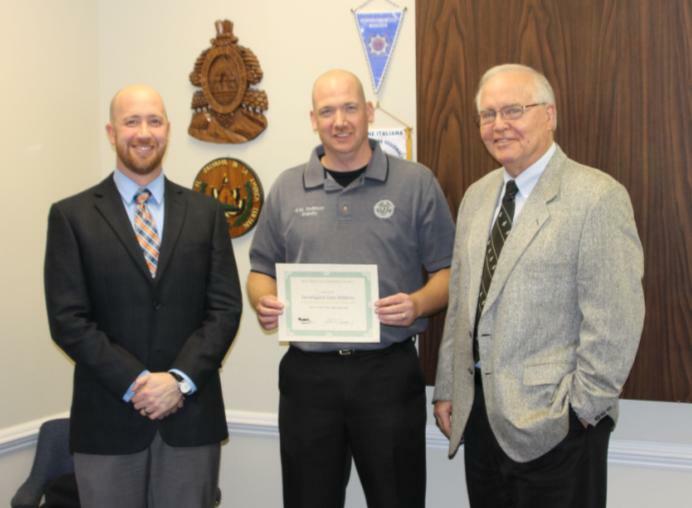 Steve Williams, Program Manager for the Roanoke Region of VA Department of Motor Vehicles, presented Corporal Gary Desilvey with the Click It or Ticket 2014 Award. This award is based on those officers who made aggressive enforcement efforts during the Click It campaign, along with promoting seat belt use to the public and community through education and outreach. Sheriff Brown wishes to remind all drivers that Bedford County Sheriff’s Office has a ‘NO warning’ policy when it comes to those who are not buckled up. Cpl Desilvey received an award certificate and a gift of a SureFire LED Flashlight which are known as ‘the best’ in the law enforcement world.